It’s hard to think of someone who relates to the many aspects of fertility awareness as much as Anna Saucier. Saucier suffered infertility for 7 years before she became educated in Fertility Awareness-Based Methods and ultimately began working as a Creighton Model practitioner. Saucier designed a program to help manage her clients, which could be used particularly with the Creighton Model. As she progressed in her career and began to talk to other practitioners and educators, she could tell they shared a passion for the method, but she also realized that there was a significant information void. Many practitioners had difficulty getting clients, managing their time, or managing a scheduling system. That’s when Saucier made The Profitable FCP: A Business Handbook for FertilityCare Practitioners. She wanted to create a platform to help FABM and NFP educators make a sustainable profit from their hard work. “It kind of became a go-to in our little niche for questions in our business and learning a lot about stuff as you go,” she said. “I’m strong in systems and processes and collating information,” so, as an expert in that area, Saucier wanted to create something that would equip fertility awareness educators to have a thriving business, instead of just a mission with a high potential for burnout. After this, Saucier continued in her work seeing clients as a FertilityCare practitioner, until she had her second baby. Saucier found herself with a 3-year-old and a 3-month-old as she came back from maternity leave to see clients again. But something wasn’t clicking. 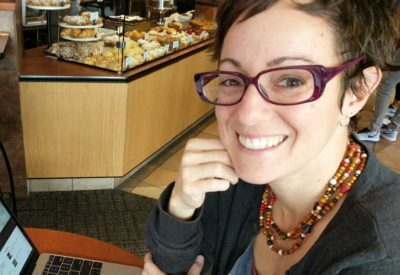 “I’ve always felt that [FABM educating] was my thing; I want to make a big impact in this space,” but she soon realized the current workflow wasn’t working for her anymore. “I felt personally like there was something more out there for me; so I started asking myself questions and brainstorming what I wanted to do, and I came to this idea of helping other practitioners to expand their reach.” She thought that’s an area she could bring her unique skills and still contribute to the fertility awareness industry, even if she wasn’t seeing clients as much herself. “Maybe that’s where I can make a greater impact,” she explains. The result was another never-before-offered resource for people hoping to spread FABM. “I created a community where I’m essentially bringing in an expert in business marketing because I’m still learning myself. However, I’m good at making those connections, building those relationships, and collating those experts on a regular basis, and I decided to throw it out there without having it put together . . . a business academy for fertility-awareness educators, and the response was pretty incredible.” Saucier sent an email to her contacts in fertility awareness and invited them to respond within 24 hours if they were interested in becoming a founding member of this academy. “I told myself I’d be happy with 10 people,” she said. “I ended up with 22 founding members and when I opened it again for new members in September, it grew to 63 members.” Clearly, these ideas were gaining traction. Saucier said that virtual summits have become very popular within the health and wellness industry, and also in the business industry. Saucier said that this new approach allows registrants, “to get the valid information out about fertility awareness in a more grassroots way.” Participants can join in on discussions and listen to conversations and speakers—and it’s all for free between May 2-5. The conference isn’t just meant to attract healthcare professionals, however. Saucier’s goal was to create an event that can be used to get information out to women who are unfamiliar with FABMs or in search of more information to discuss with their doctors. But medical professionals can benefit as well. The medical community outreach group FACTS (Fertility Appreciation Collaborative to Teach the Science) “does a great job of getting this out to medical professionals but the more we get this out, the more it validates it,” Saucier said. Ultimately, the conference brings together attendees from all walks of life, including those who are already FABMs practitioners. In this environment, people can come together with different perspectives and angles—all there for the same goal. Over the four days between May 2 and 5, attendees can enjoy more than 16 hours of content, and anybody who is registered can watch and listen to those sessions for free during the four days of the conference. 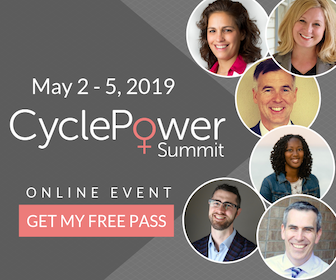 For those who want more flexibility and access to the Cycle Power Summit presentations for a full year, they may register for the conference and then purchase an all-access pass for an early bird price of $79. That price increases to $137 on May 2 (the first day of the conference), and to $229 after May 5 (the last day of the conference). The conference sessions remain free for those who want to view them between May 2 and 5 when the presentations are uploaded at 9 am each morning. The full program and registration information is available now at the Cycle Power Summit website. Saucier thinks the fertility-awareness industry needs to take advantage of opportunities like online learning, to connect and learn from each other, now more than ever. 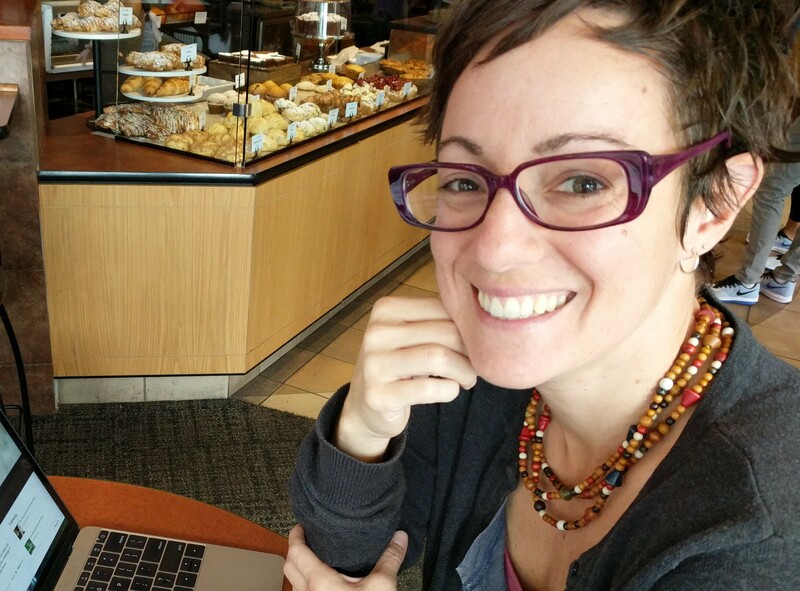 While Saucier thinks a component of this involves more access to online learning tools of fertility awareness, she also acknowledges how indispensable it is to have access to a real-life FABM educator. “I think a lot of basic concepts of the cycle can be learned through online learning, and women can be empowered to look at their cycle and say ‘this looks a little off’ or ‘maybe I can get some treatment for this,’ and then they can bring their concerns to a trained professional to look further.” If the woman is seeking FABM for the purposes of family planning, Saucier emphasizes she should interact with a certified FABM practitioner to benefit from the highest rates of efficacy.